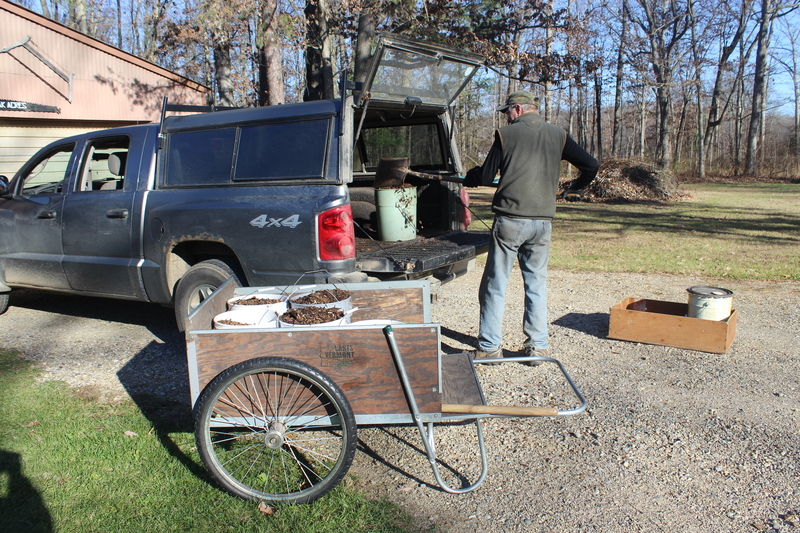 Our garden cart and 5-gallon buckets are an essential part of my garden labor. 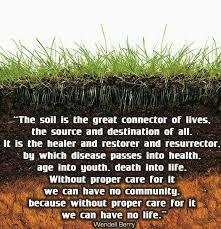 A granddaughter of a dairy farmer I never realize the real importance of the soil until I came to the Small House Homestead. I have learned that a high quality, healthy and organic soil makes the difference between being able to grow and not grow. Healthy organic soil is the foundation of food security. Gene is shoveling bark chips from the truck to the buckets. Our most important job as vegetable gardeners is to feed and sustain soil life, often called the soil food web, beginning with the microbes. If we do this, our plants will thrive, we’ll grow nutritious, healthy food, and our soil conditions will get better each year. This is what is meant by the adage ”Feed the soil not the plants. 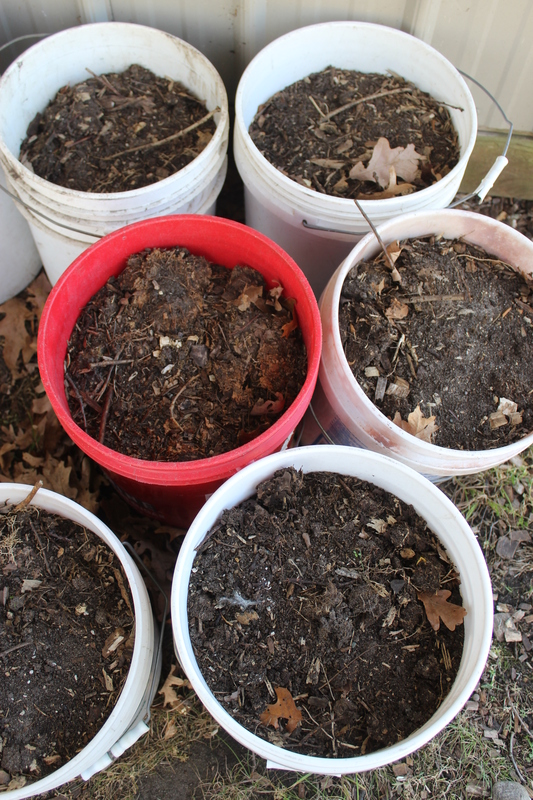 Every season I work to make our soil healthier through making my own homemade compost. Kitchen scraps, chicken poop, spent flowers and leaves; everything that is not meat or bones goes into our compost pile. 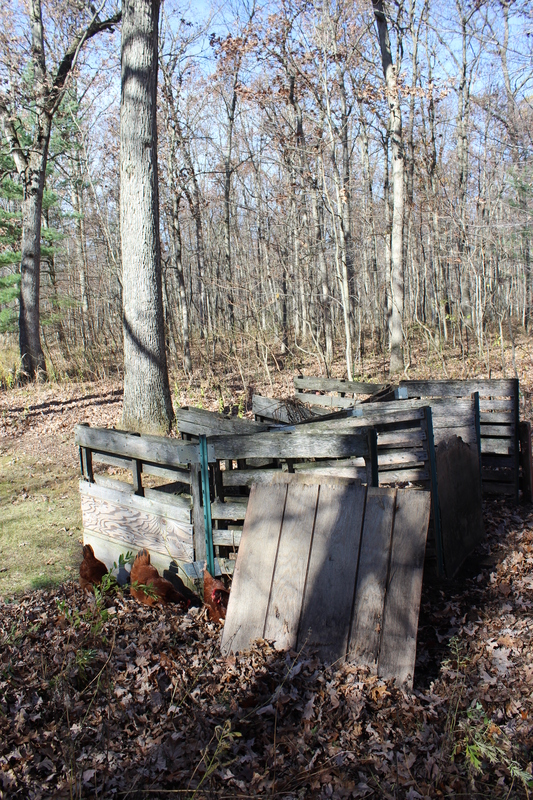 Our 6-bin compost station built of pallets and T stakes is not fancy but it gets the job done. Today I spread our homemade compost on the fruit trees, shrubs and some of our perennials. I was able to make about 12 5-gallon buckets this year. Every year I make more compost and every year I do not have enough to go around. I have to decide which plants most deserve the composted soils and then top dress them with well composted horse manure for the rest. We are fortunate to have as much horse manure available as we can haul home. 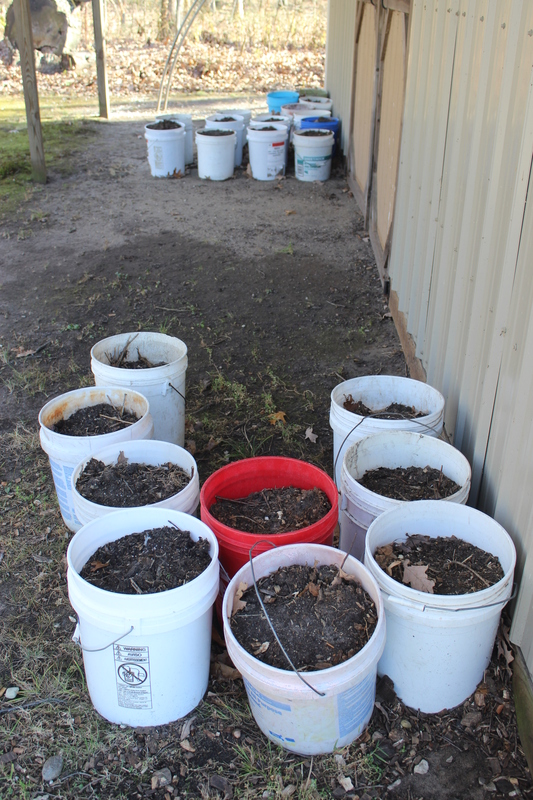 5-gallon buckets of compost and manure lined up waiting to be spread. This is a big deal for us because our Oak Savannah forest soil is lean, sandy and pretty much nutrient free. 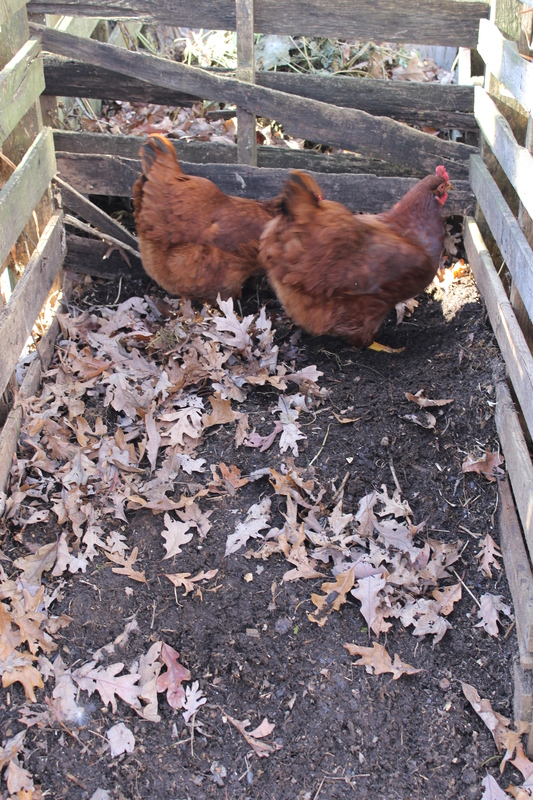 I let the chicken do the work of turning the composted soil. 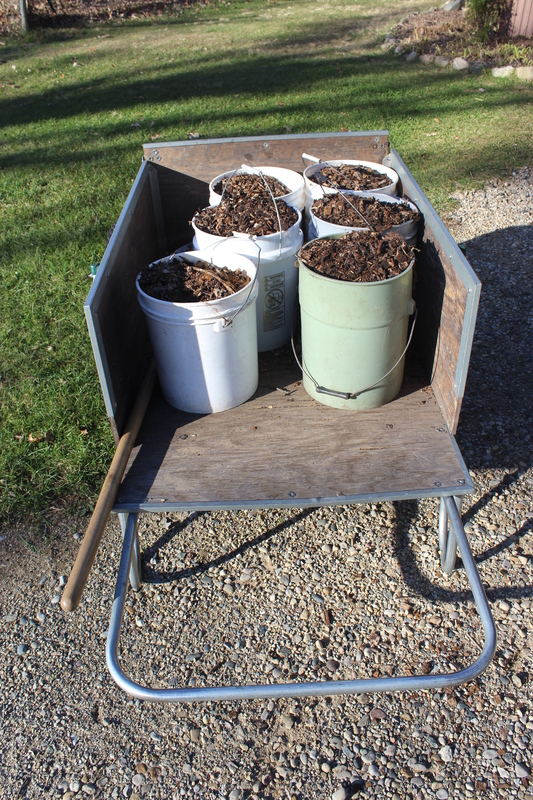 Our soil building formula is simple; homemade compost, horse manure and bark chips as mulch. Without this I don’t think I would be able to garden or grow at all. Making soil and growing food and flowers is my calling. This entry was posted in A Home Centered Life, Adventures in Gardening, Chicken Keeping, EcologicalHomesteading, Food and its Relationship to Health and tagged Agriculture, Farming, Food and its relationship to health, Food security, Homemade compost, Small House Homestead, Soil, Soil is the great connector of life. Bookmark the permalink.